Last Friday was the year end party for our office and we had a theme of childhood aspirations – we were supposed to dress up in outfits that represented what we wanted to be when we grew up. Now I had a lot of childhood aspirations – I wanted to be a journalist and at one point, kept telling everyone I will be majoring in mass communications, and I also wanted to be a grocery cashier because it seemed fun to push all those buttons in the machine. 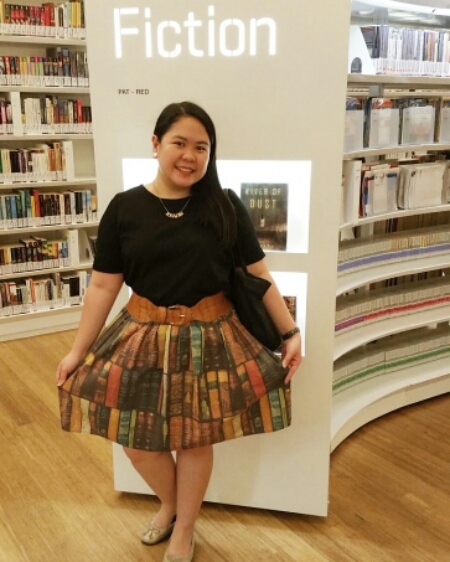 But I have always been a reader for as long as I could remember, and one of my childhood aspirations was to become a librarian (difficult to achieve in a country like the Philippines where there are no good public libraries). Also, I already have an outfit ready for it – I just modified last year’s Fiction Friday Outfit. I’m pretty happy with the whole outfit but everyone thought I was a teacher, so I had to keep pointing out that I’m a librarian and my necklace says “read more” and not “study more”. One co-worker did ask me where else am I, after she noticed my time turner necklace. My very boring and safe answer was working, but I really should have said I was reading ALL THE BOOKS. I wouldn’t mind wearing this on a regular basis, the only reason I don’t is I have to iron the skirt and I’m a lazy girl. 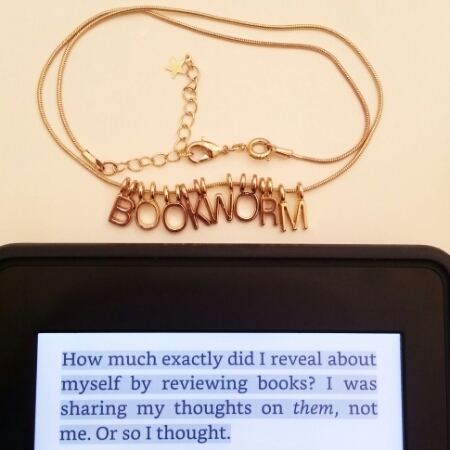 I need to find more bookish accessories and clothes so feel free to suggest some if you know of any. 🙂 Hope everyone is having a great weekend! That shot includes a quote from Learning to Fall by Mina V. Esguerra, a new adult romance featuring a book blogger and a rugby player. 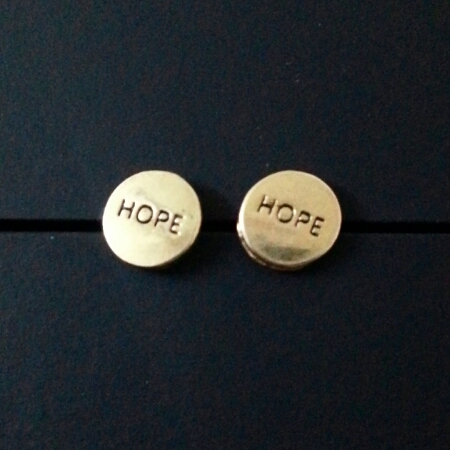 The necklace was from Accessorize, it came with a set of random letters which I then tried to form words with. I didn’t have the right number of letters to form “bibliophile” but I’m happy enough with “bookworm”. I wish I had more bookish clothes or accessories. I think it would be more fun to get dressed in the morning if that was the case.